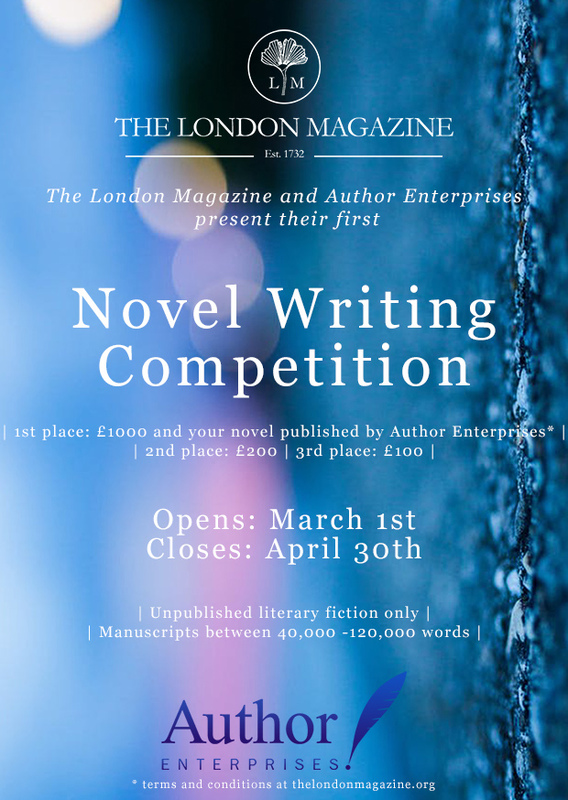 The London Magazine are proud to announce our inaugural Novel Writing Competition, in collaboration with Author Enterprises. 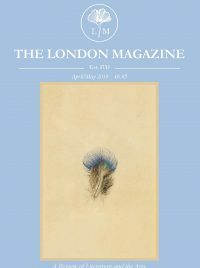 As the oldest literary magazine in the UK, The London Magazine has been home to some of the most celebrated novelists in history – Evelyn Waugh, William Boyd, H.G. Wells, Joseph Conrad and Thomas Hardy. Author Enterprises is a company which helps authors to become their own publishers and generate an income from their work. It specialises in publishing new and under represented voices. The company works with novelists, short story writers and nonfiction authors. Author Enterprises was founded by Richard Foreman. Richard has worked as a literary consultant and publicist to numerous bestselling authors, including Simon Sebag-Montefiore, William Dalrymple and Kate Williams. He has also worked as a publisher and is a bestselling historical novelist. In our first ever Novel Writing Competition, we hope to find a new and exciting literary voice to share with an international audience and become a part of The London Magazine’s colourful history. All manuscripts should be between 40,000 and 120,000 words, and previously unpublished. Whilst there is no set theme or subject, we are looking for strong and entertaining “literary fiction” written with confidence and grace. This competition is open to international entries. Submissions are via submittable. Please note, we are not accepting email or postal entries for this competition. All entries must never have been published, self-published, published on any website, blog or online forum, broadcast, nor have won or placed (as in 2nd, 3rd,, runner up etc) in any other competition. It is advised that you should read a copy of The London Magazine before entering to familiarise yourself with the style of writing we are looking for. Single issues or archive issues (Legacy Issues) are available in our shop. There is no limit on the number of submissions per person. Submissions can be written on any subject or theme. The filename of email entries must be the author followed by the title of the story. It must be either a .doc, pdf or .txt file. Entries must be labelled clearly with your name, address and email address on the front page. No corrections can be made after receipt, nor fees refunded. Contact Emma and competition@thelondonmagazine.org with any queries. *Author Enterprises will arrange for winner to be published on Amazon as an ebook and print on demand paperback. Authors will retain all rights and royalties.